A behind the scenes look at the infamous unraveling of the Fyre music festival. 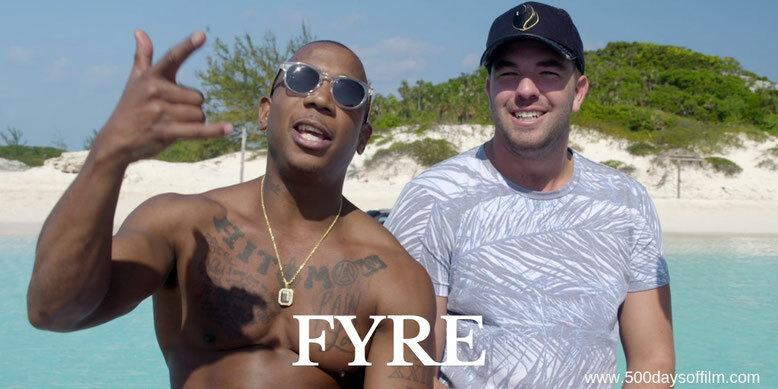 Created by Billy McFarland and rapper Ja Rule, Fyre was promoted as a luxury music festival on a private island in the Bahamas featuring bikini-clad supermodels, A-List musical performances and posh amenities. Guests arrived to discover the reality was far from the promises. A passing interest in a failed music festival transformed into a feeling of acute anxiety as I watched Chris Smith’s gripping documentary, Fyre: The Greatest Party That Never Happened. The very worst of humanity is on display here, alongside a nightmarish level of mismanagement, disorganisation and sheer chaos. It makes me feel uncomfortable just thinking about the shocking and disgraceful events that took place. The documentary itself follows a simple path - telling the story via interviews with many of the people involved with Fyre Festival and also using footage from Billy McFarland’s own recordings (including a Fyre Fest promotional video, which is rather overused). The film also features the recollections of those who bought tickets. It is both strangely fascinating and also increasingly disturbing. Smith’s film explores the darkest side of entrepreneurship and influencer marketing and makes us consider the deeper reasons why people would buy in to such an event. It is easy, of course, to mock the unquestionably over-privileged attendees of Fyre Festival. Smith's film highlights their distasteful desire to pay utterly extortionate amounts of money to party on a beautiful island with music stars and supermodels. While I didn’t find humour in their predicament (less stunning paradise, more Lord Of The Flies meets the end of times), my sympathies were with the many workers who didn’t get paid and restaurant owner, Maryann Rolle, in particular. She lost her life savings as a result of the Fyre scam. If this was not enough (and it most certainly is), Fyre goes on to show just how little McFarland cares about the carnage, hardship and misery he created. It is more than enough to make you despair about the state of humanity… until, that is, you read about the online fundraising that has since taken place to help reimburse Rolle. Maybe there is hope for humanity after all. Have you seen Fyre: The Greatest Party That Never Happened? If you have, what did you think about this documentary? Let me know in the comments section below or via Twitter. You can find me @500DaysOfFilm. Have you seen Ja Rule's statements about it? Way to utterly absolve himself of any blame!